THURSDAY, Jan. 1, 2015 (HealthDay News) -- Quitting smoking is a common New Year's resolution, and the American Lung Association has some tips that might help smokers make 2015 the year to really kick the habit. It's never too late. Although quitting as soon as possible is best, avoiding cigarettes at any age will improve your health and help you live longer. If you're not buying cigarettes, you'll have more money in your pocket. By quitting, you may inspire other smokers to do the same. Learn from the past. If you were unsuccessful in quitting in the past, don't be discouraged. You can apply those experiences in a new attempt to quit. Learn from your mistakes, and let them help you achieve success in the future. Don't go it alone. If you've decided to quit, enlist the support of friends and relatives. Sharing your experiences can help ease your burden. Other smokers you know may also decide to kick the habit. 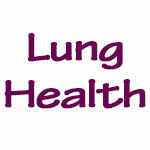 The American Lung Association offers the Freedom From Smoking program. This support group is available online or in a group setting. The toll-free Freedom From Smoking Helpline is 1-800-LUNGUSA. The hotline is staffed with smoking cessation experts who can answer questions and help devise plans to quit. Consider medication. There are seven medications (like nicotine patches or gum) approved by the U.S. Food and Drug Administration that have been shown to help smokers quit. The problem is that many smokers don't use them correctly or stop using them too soon. If you decide to try medication, talk to your doctor and take your medication exactly as directed. All smokers can quit. If you think quitting is impossible, think again. There are more than 50 million former smokers in the United States, according to the lung association. In order to stop smoking successfully, all smokers must find the combination of quitting strategies that work for them. The most important thing is not to give up.